Panchami tithi during Chaitra Shukla Paksha is also known as Kalpadi Tithi and it marks the beginning of one Kalpa. 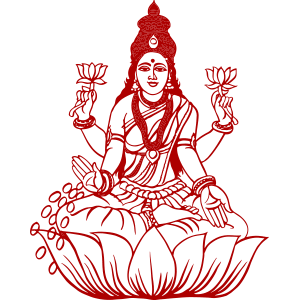 This day is popularly celebrated as Lakshmi Panchami in many parts of India. This Hindu festival is also known as Shri Panchami or Shri Vrata and is dedicated to Maa Lakshmi, Goddess of wealth and prosperity. According to Hindu Calendar, Lakshmi Panchami will be celebrated on Chaitra Shukla Panchami. Devotees observe strict fast on this day to seek the blessings of Goddess Lakshmi. It is believed that Maa Lakshmi bestows her devotees with wealth and prosperity who worship her on this day. Lakshmi Panchami falls during the beginning of Hindu New Year and it is considered highly auspicious to worship her on this day. People, whether at home or at office, worship Goddess Lakshmi with utmost devotion and observe a day-long Lakshmi Panchami Vrat. Some business houses and traders hold an extensive Puja and celebration on this day. Lakshmi Panchami should not be confused with Vasant Panchami as this day is also referred to as Shri Panchami owing to its association with Maa Saraswati, Goddess of wisdom and learning. Laxmi Puja on Lakshmi Panchami is done with sincere devotion as devotees worship Goddess Laxmi and pray for wealth and prosperity. First and foremost, the devotees should wake up early in the morning, take shower, offer their prayers to Goddess Lakshmi and begin their Lakshmi Panchami Vrat. The idol of Maa Lakshmi is placed on a platform and cleaned with Panchamrit. Then, offerings of flowers, banana leaves, sandalwood, supari, red thread, rice, coconut and durva are made to pray to Goddess Laxmi and please her. The devotees who follow a stringent Lakshmi Panchami Vrat and perform this Puja with ardent sincerity and devotion are believed to be blessed with wealth, happiness, success and prosperity.